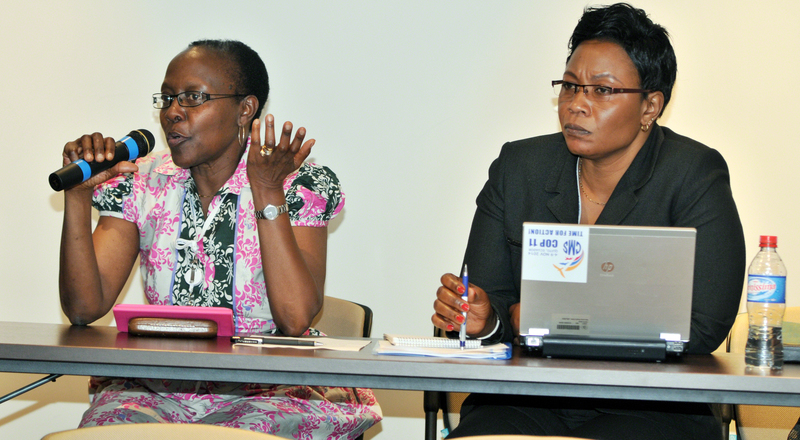 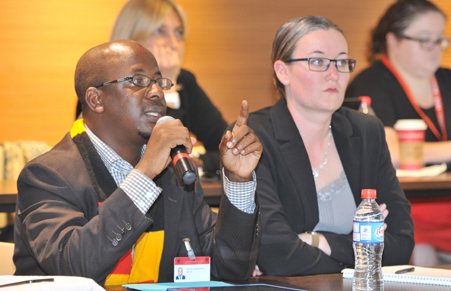 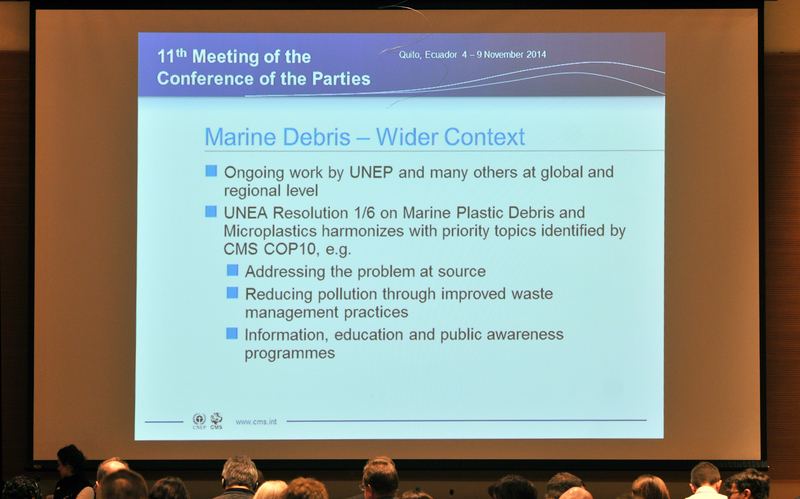 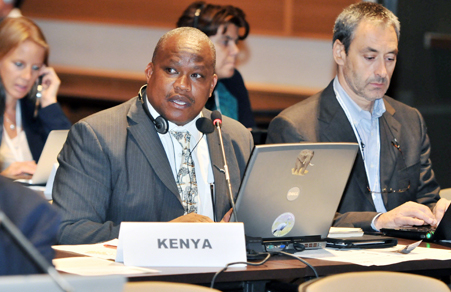 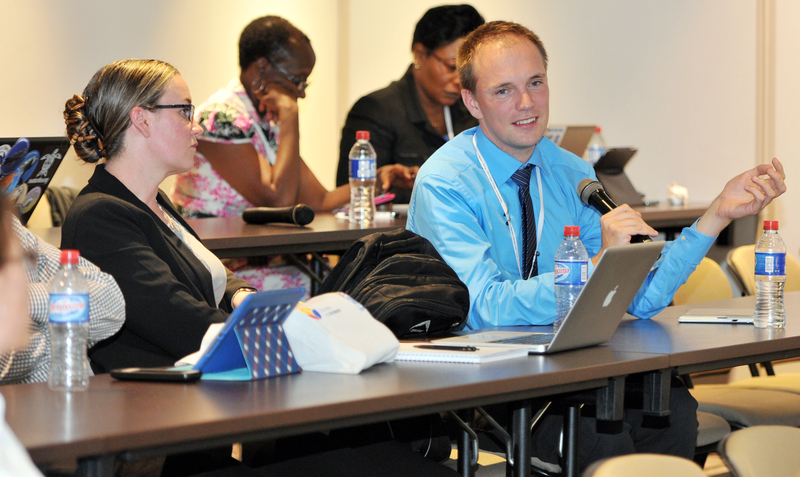 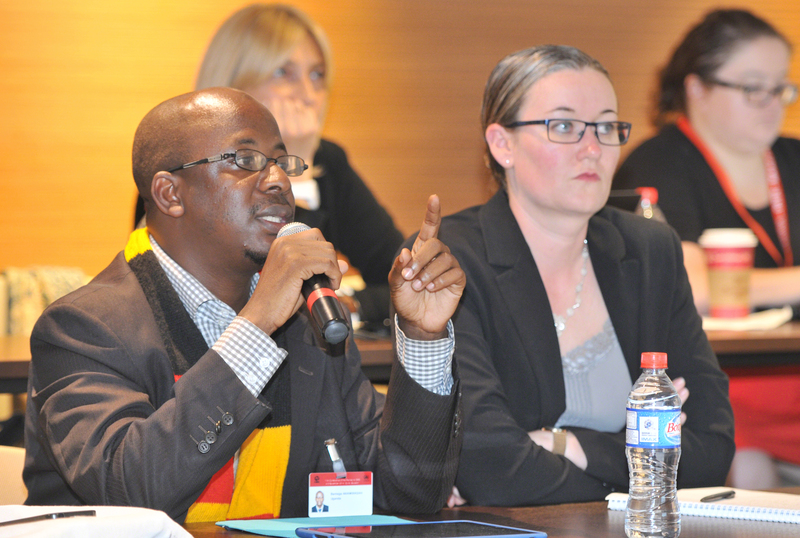 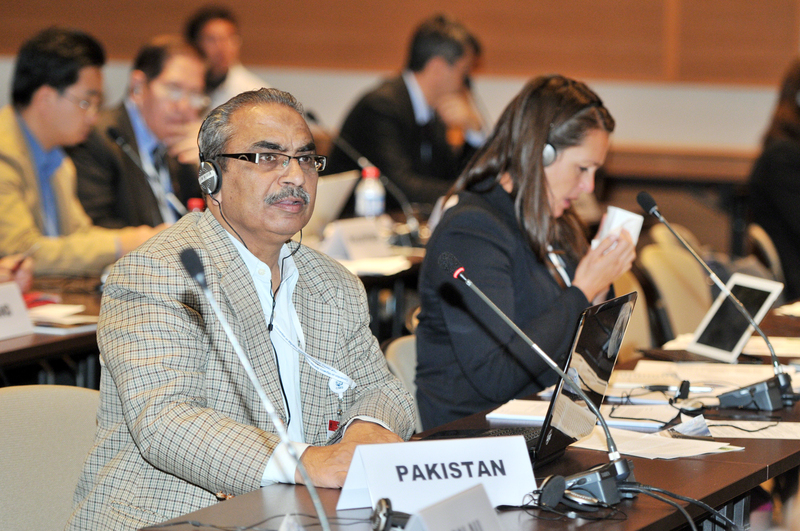 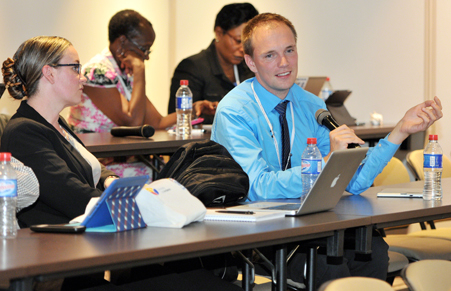 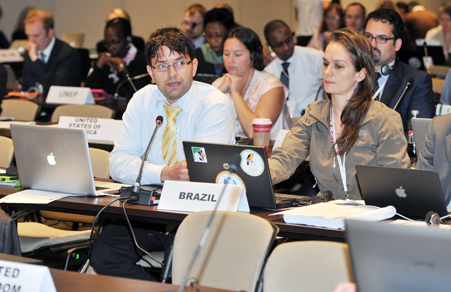 IISD RS provided daily web coverage, daily reports, and a summary and analysis from CMS COP11. In order to download our reports, click the HTML or PDF icons below. 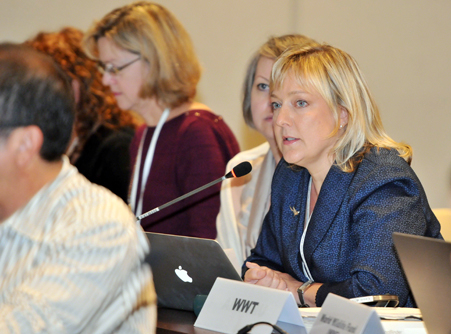 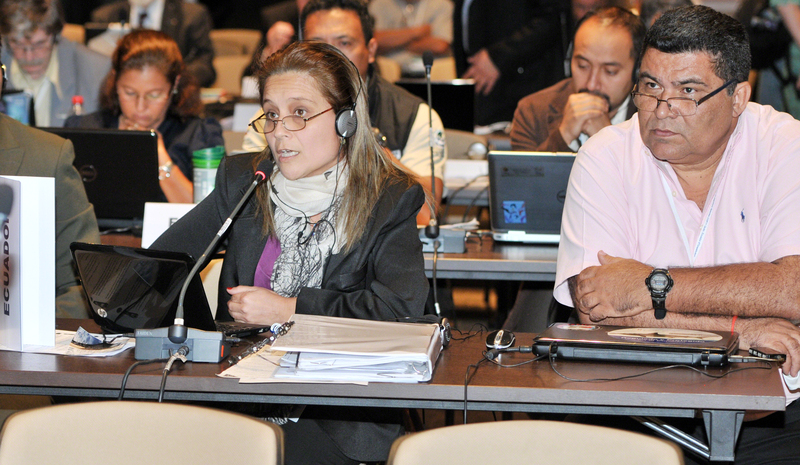 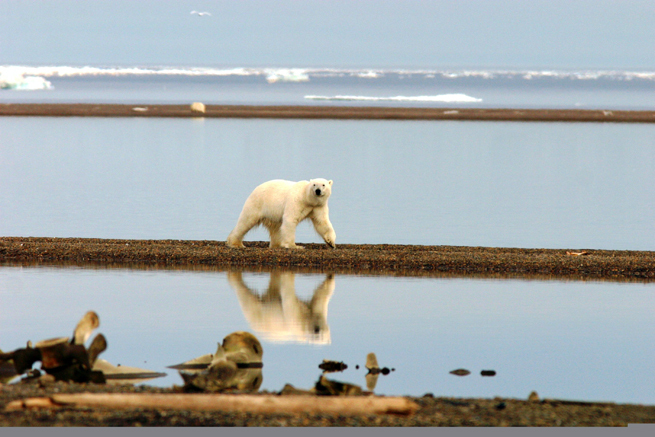 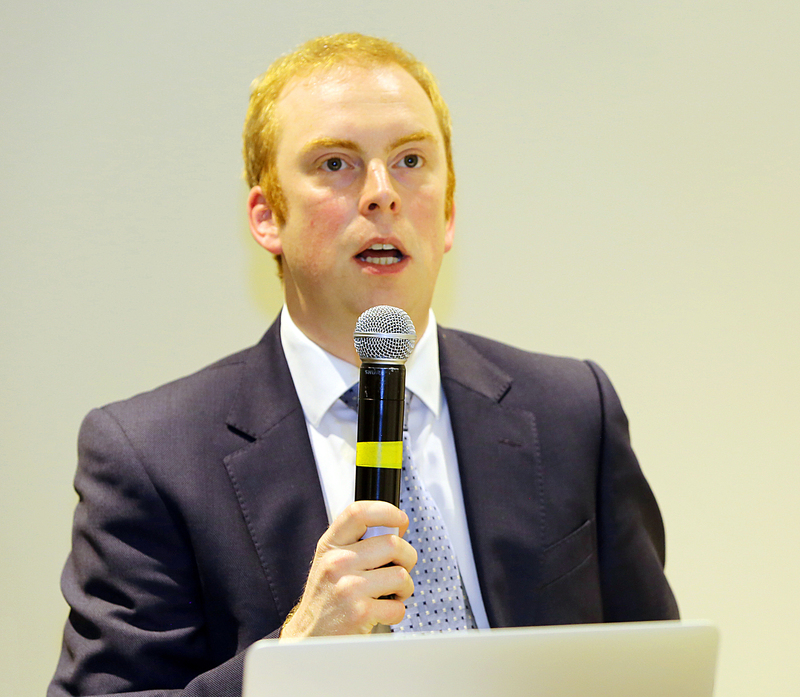 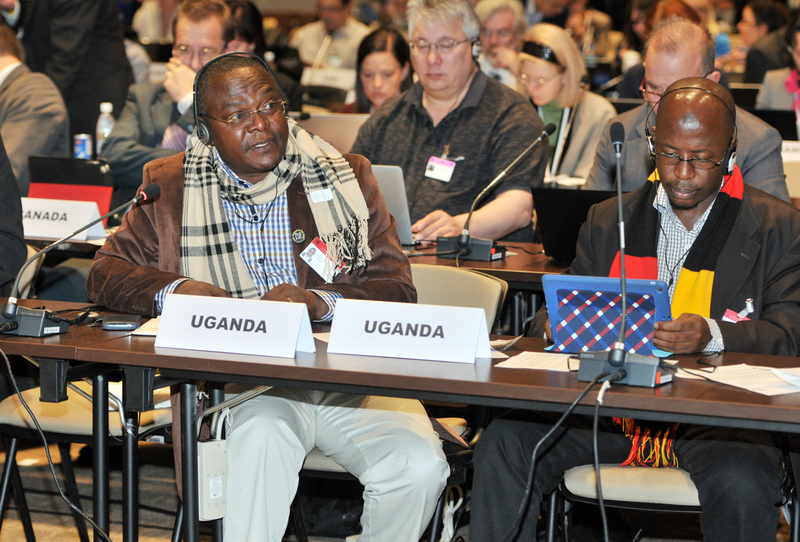 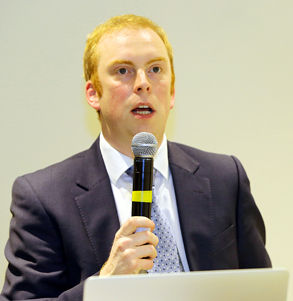 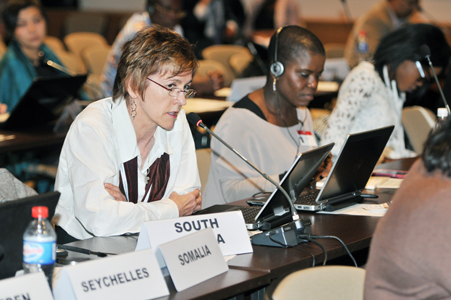 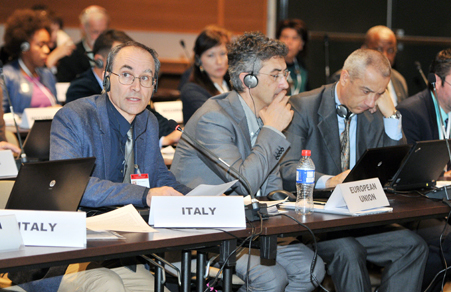 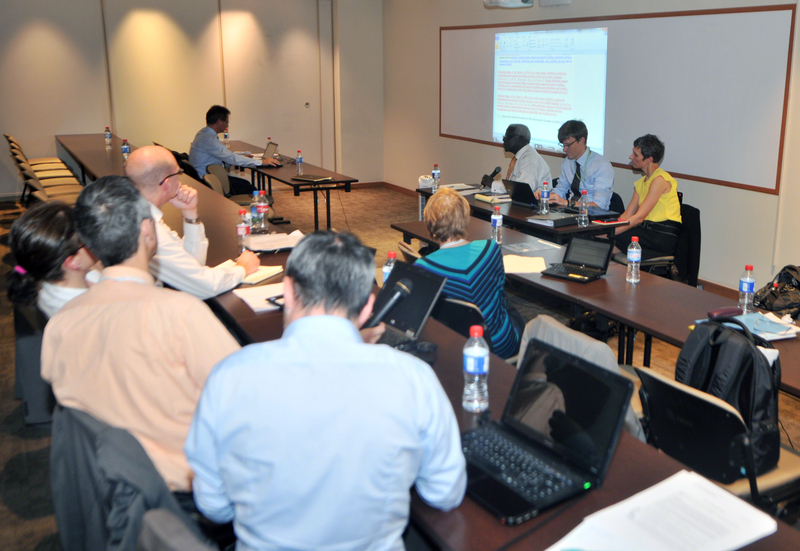 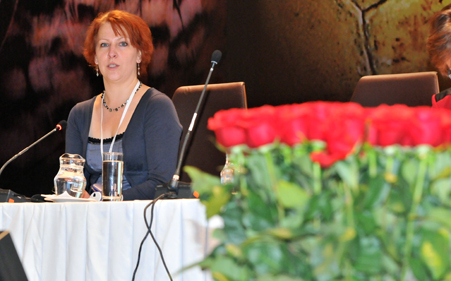 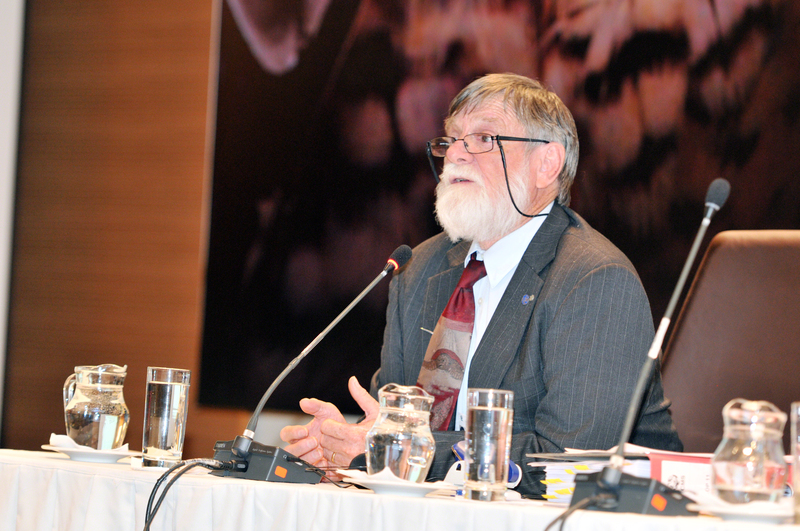 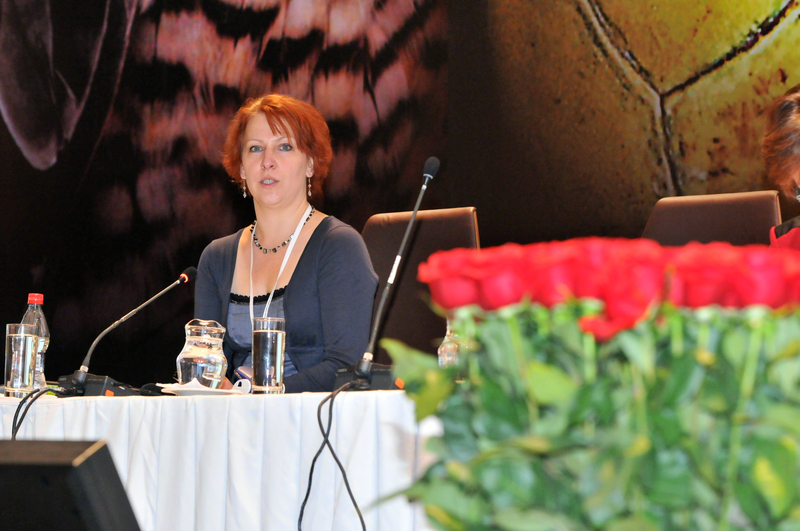 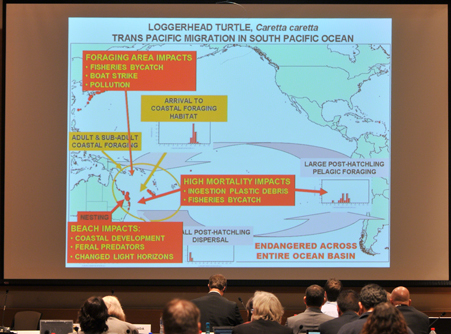 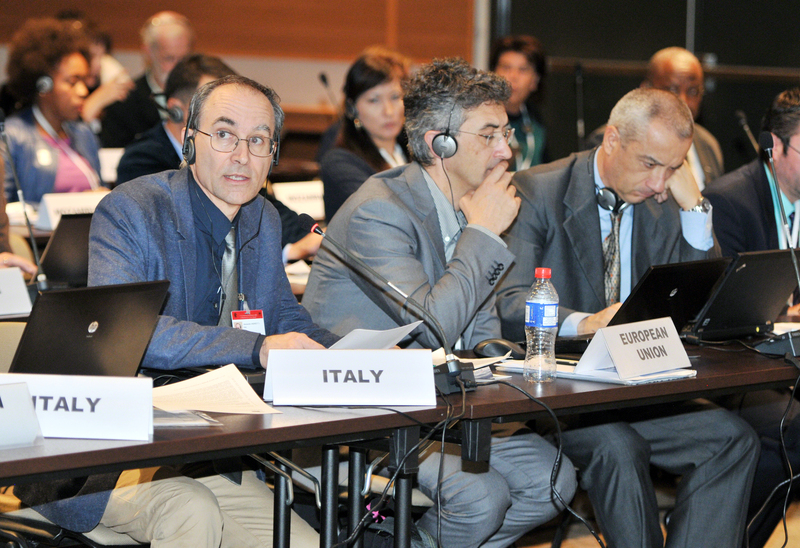 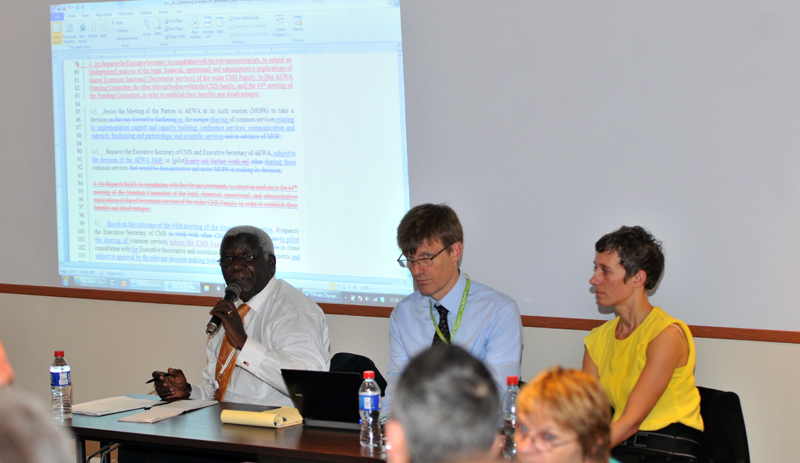 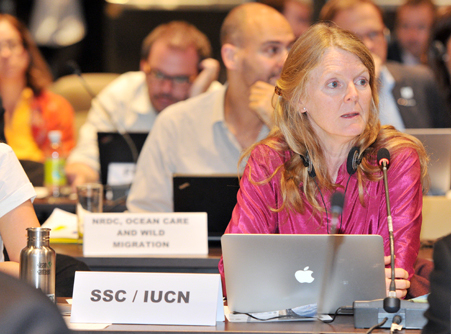 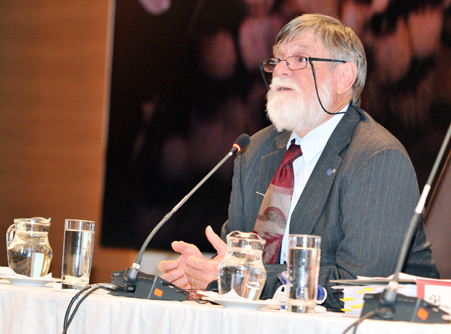 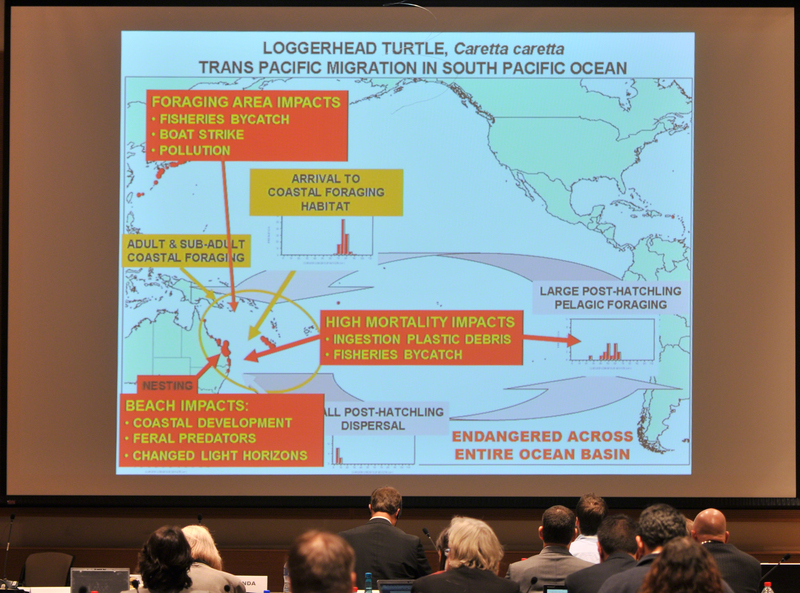 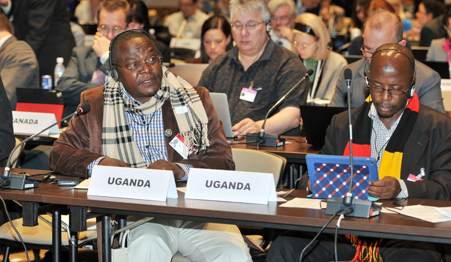 CMS COP11 continued on Thursday in Quito, Ecuador, with a review of species listing proposals. 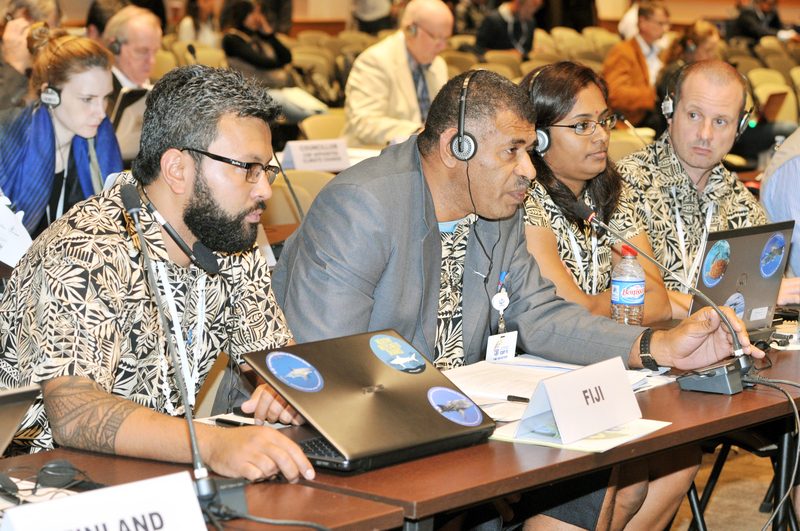 In the morning, the CoW listened to progress reports from the Chairs of the Credentials Committee, the Drafting Group, the Aquatic Working Group and the Avian Working Group, with all these groups continuing to meet. 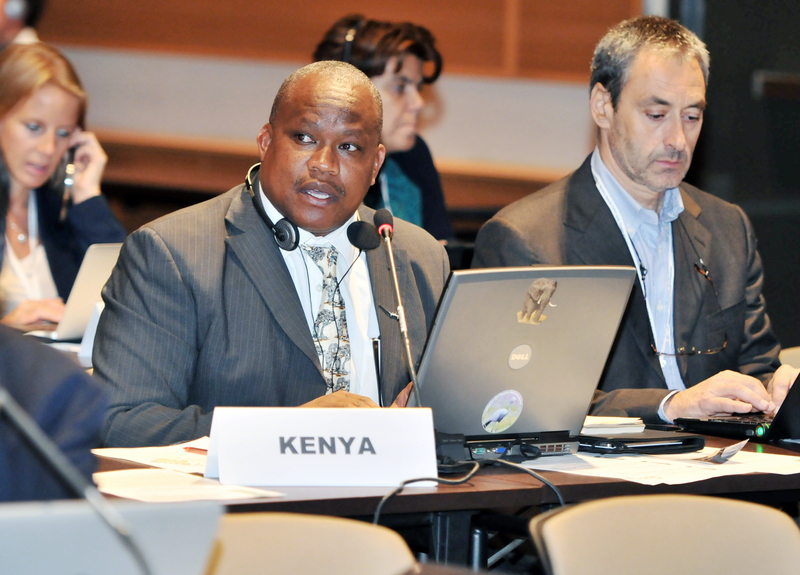 The CoW also addressed amended draft resolutions on: the strategic plan for migratory species 2015-23 (UNEP/CMS/COP11/CRP1); the programme of work on climate change and migratory species (UNEP/CMS/COP11/CRP2); and enhancing the relationship between the CMS family and civil society (UNEP/CMS/COP11/CRP3). The CoW forwarded the three resolutions to plenary for adoption. 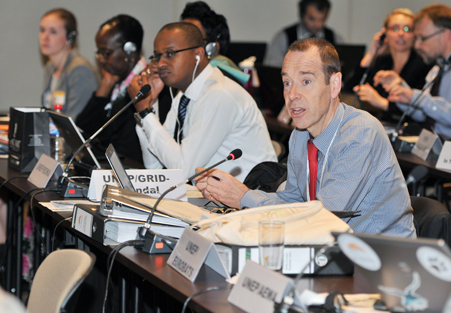 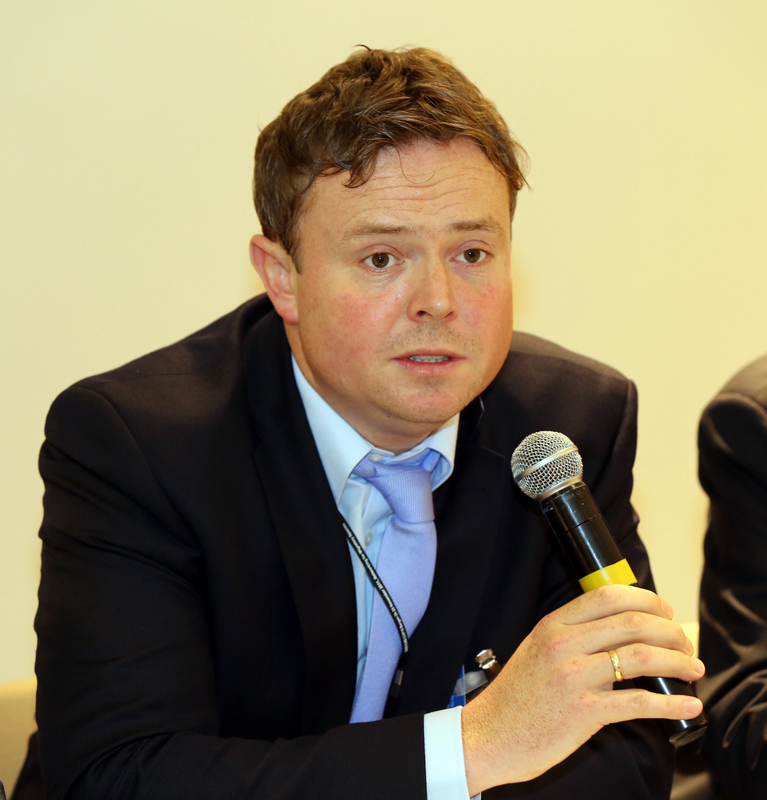 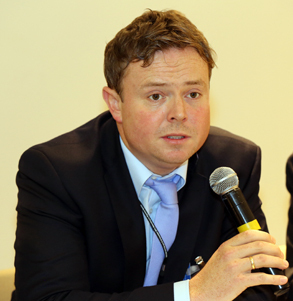 Florian Keil, Coordinator, CMS/AEWA Joint Communications Team, moderated the event organized by the Secretariats of UNEP, CMS, and the UNEP-World Conservation Monitoring Centre (UNEP-WCMC). 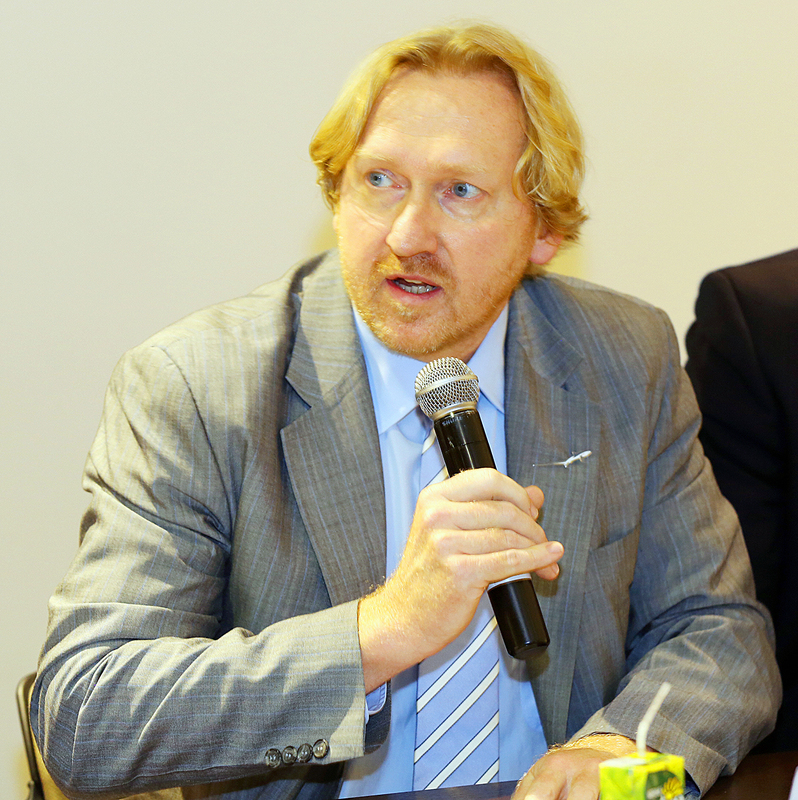 Lauding the UN Information Portal on Multilateral Environmental Agreements (InforMEA) as a tool to bring coherence to MEAs, Bradnee Chambers, Executive Secretary, CMS, underscored that if law is inconsistent and incoherent, it is weak. 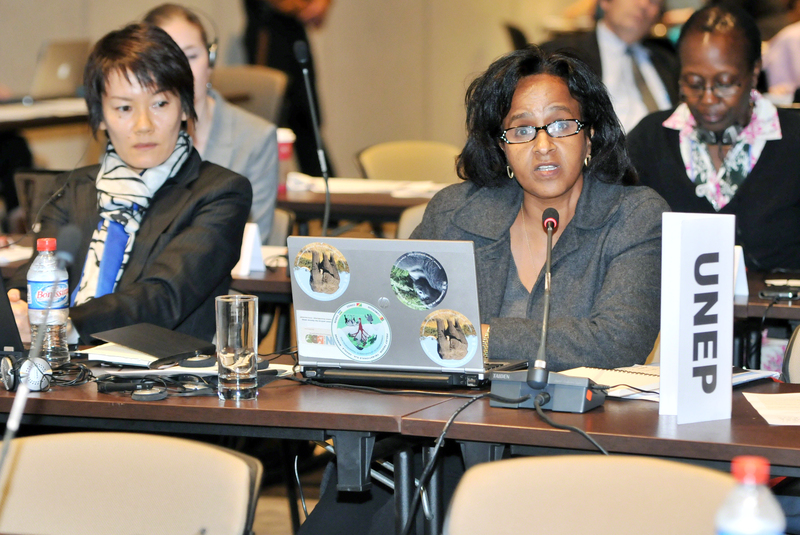 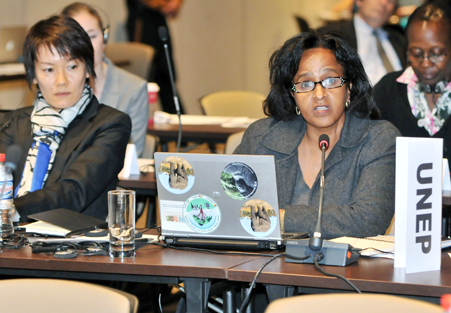 Elizabeth Mrema, Director, UNEP-Division of Environmental Law and Conventions, drew attention to the various tools UNEP, in collaboration with some MEAs, have created including Species+, the Online Reporting System, InforMEA and the e-learning tools. 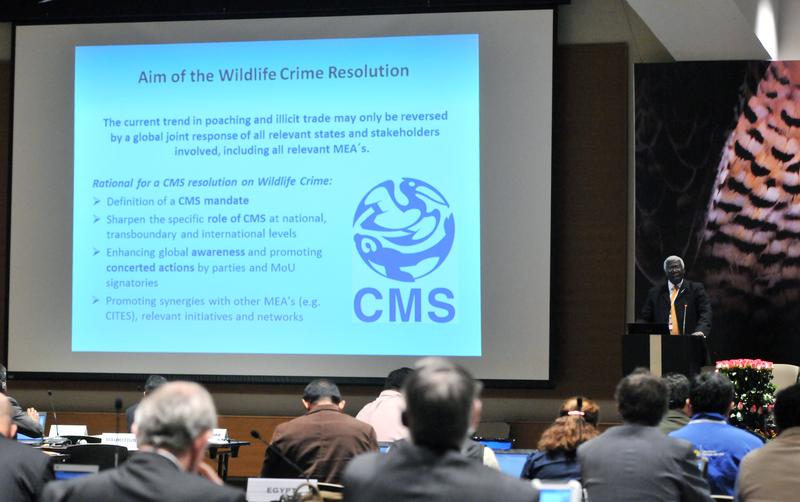 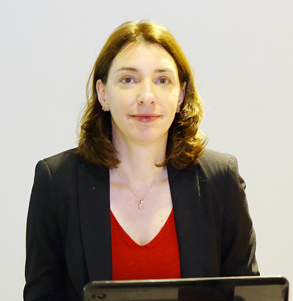 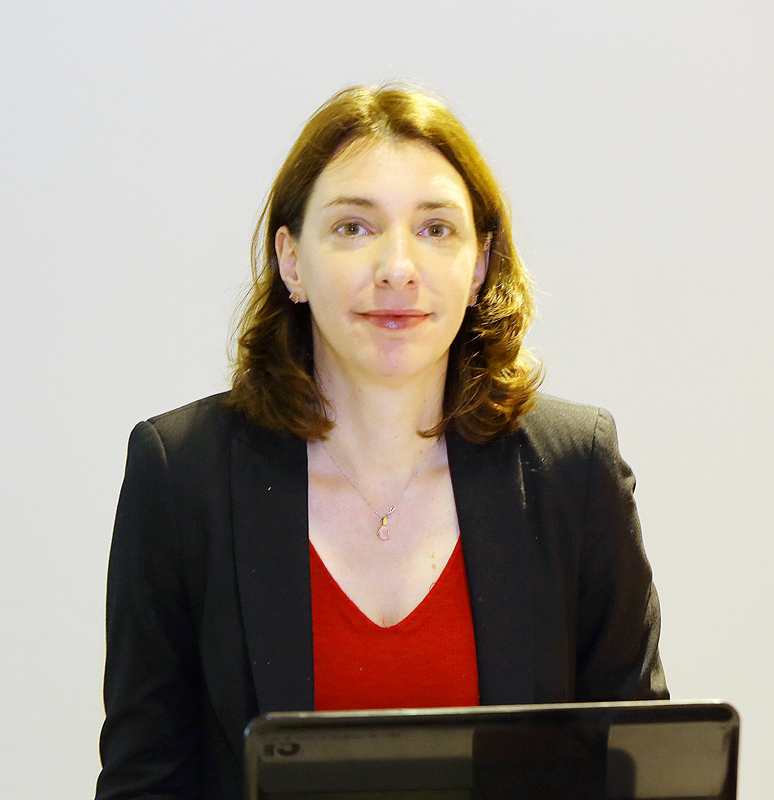 Patricia Cremona, UNEP-WCMC, described the Species+ website, which gathers information on species listed under both the Convention on International Trade in Endangered Species of Wild Fauna and Flora (CITES) and CMS. 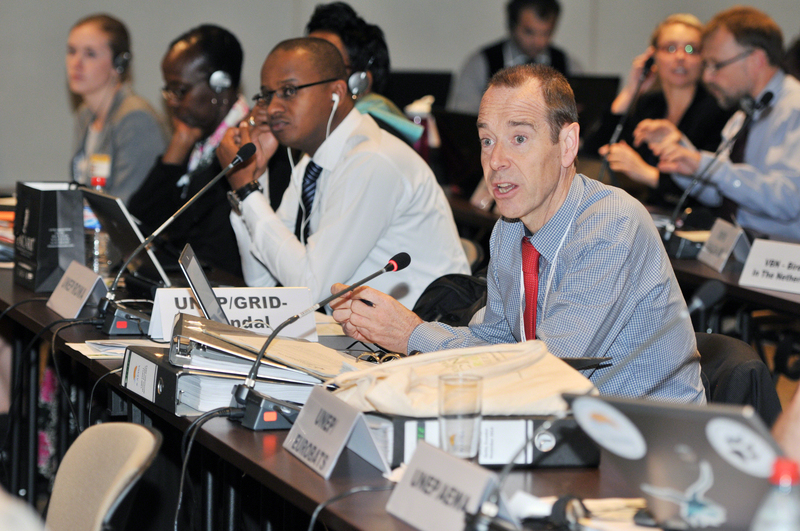 Tim Wilkinson, UNEP-WCMC, discussed the Online Reporting System, explaining that it assists secretariats to, inter alia, create and distribute questionnaires, and collate responses in one central system. 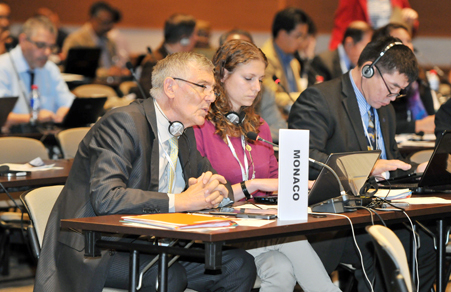 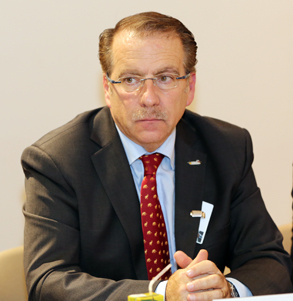 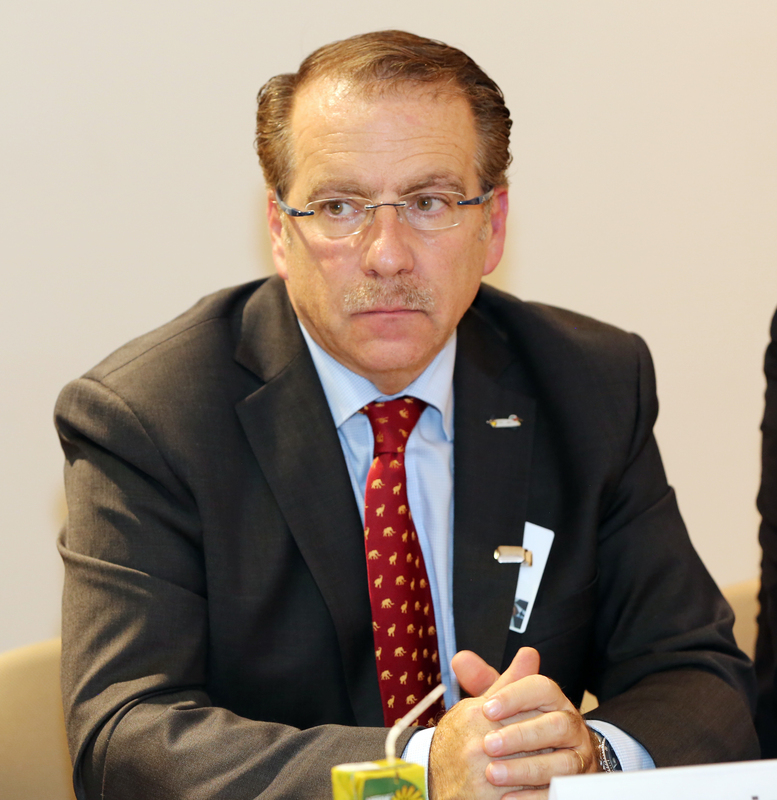 David Morgan, Chief of Scientific Services, CITES, highlighted the MEA Information and Knowledge Management initiative as a tool for secretariats to use in supporting parties to meet their obligations under the various conventions. 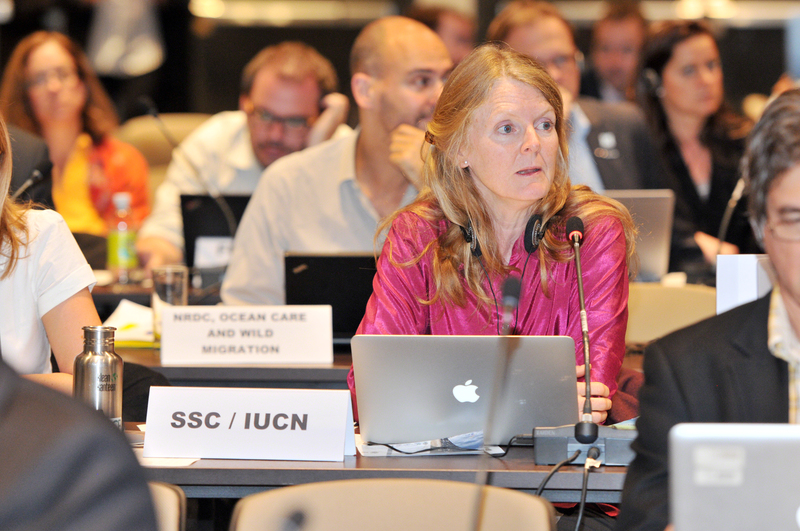 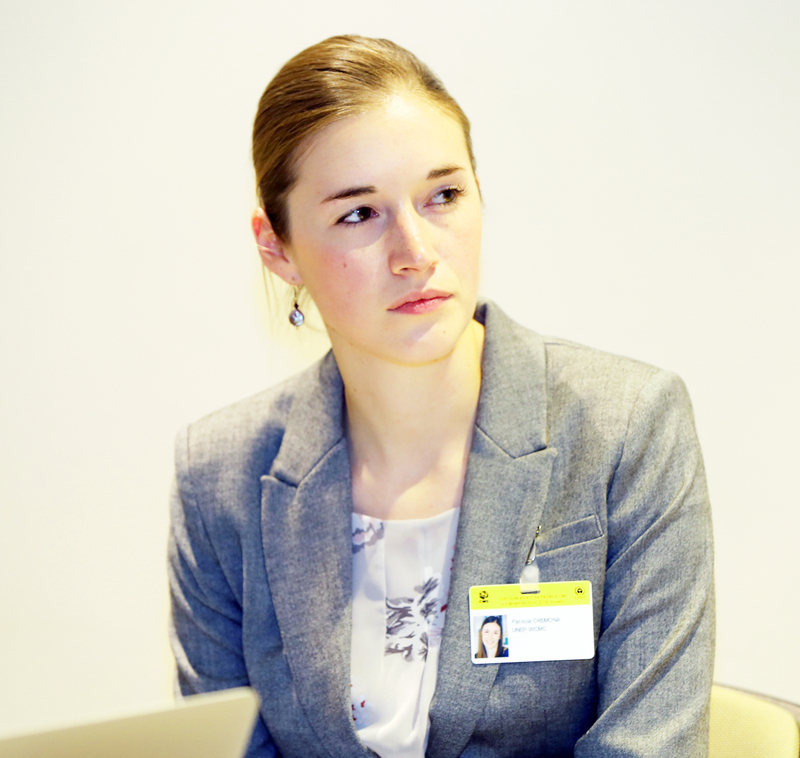 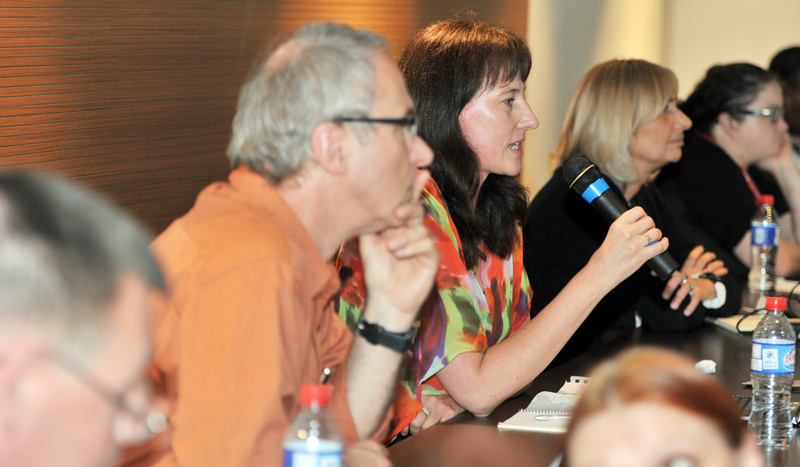 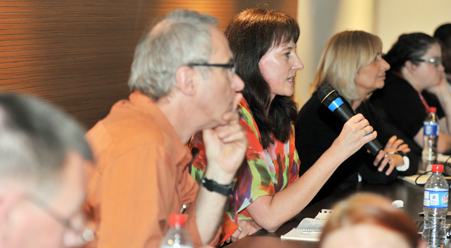 Eva Duer, UNEP, expounded on the e-learning tool, stressing its importance for capacity building. Francisco Rilla, CMS, welcomed the Manual for National Focal Points for the CMS Instruments in preparing focal points for COP negotiations.